which is adjacent to their restaurant, and are looking at a range of funding options to support this optimistic and bold initiative. 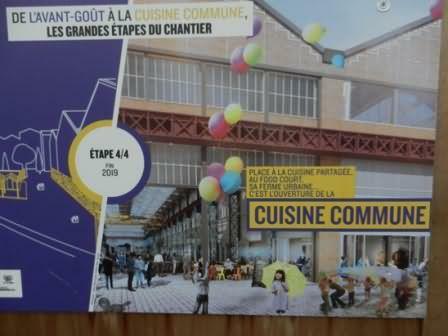 We also visited another scheme that had secured 5 million Euros from the EU, yes they do get a lot of such funding in France, to build a ‘Cuisine Commune’ in a huge former engineering works. 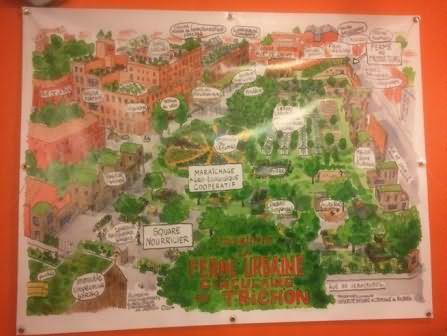 This would include a giant food court, a training college to teach would be caterers and an urban garden to supply at least some of the veg to be cooked and used. We also visited a community café and supermarket set up by volunteers, whose shareholders have to devote 3 hours a month to helping out in the store. 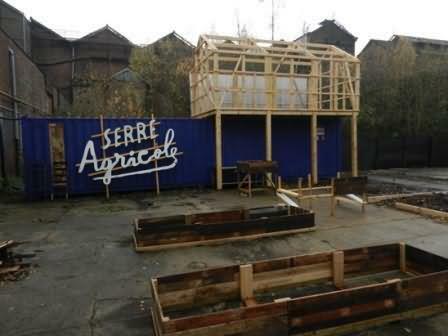 All of these projects were inspiring in how they embraced the notion of doing things in a different way, and by using the growing and supplying of food as the foundation for community regeneration. When asked what lessons we could learn from such projects I said that we needed many more similar examples, in every town, city and neighbourhood. They might not be incredible, as many rely upon grant related funding, but those who run them are champions of a new way of doing things and need all the support they can get and we can give them.